Eliminate traditional printer frustrations and free up your business with the latest WorkForce Pro RIPS business printers. The advanced Replaceable Ink Pack System (RIPS) technology uses super-high-yield ink supply units for printing up to 75,000 pages between ink changes4. 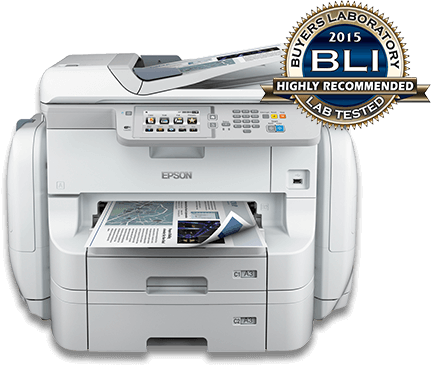 The WorkForce Pro WF-R8590 was also awarded the coveted “2015 Pick” award for its flawless durability and highly impressive productive performance, coupled with best-in-class first copy times.